This item has a starting price of $3995. 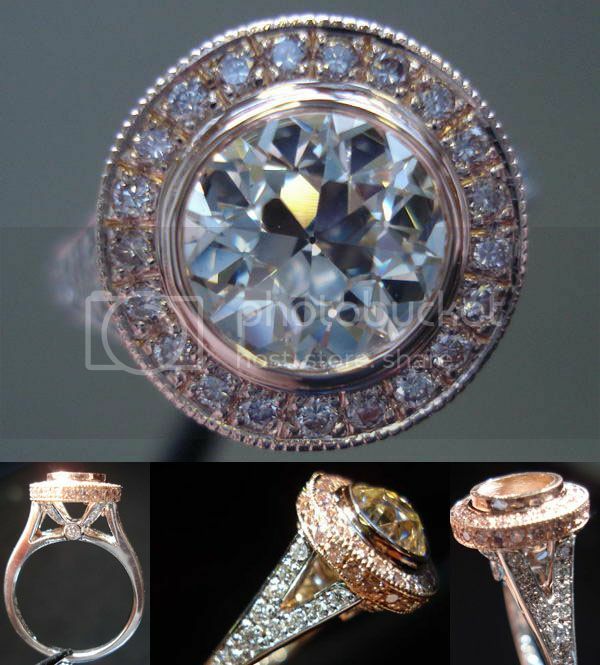 Please contact us for quotes on larger sized center diamonds. 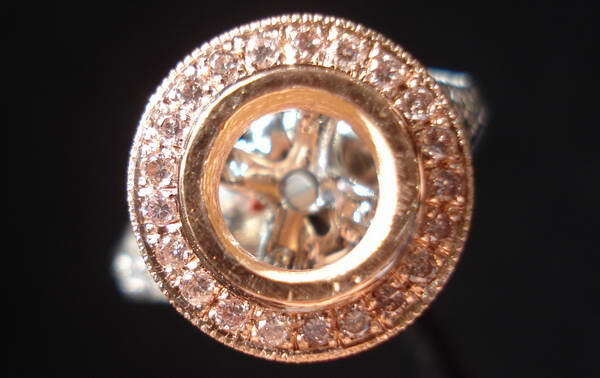 Here's a lovely variation on our extremely popular "Pink Lemonade" semi mount ring. 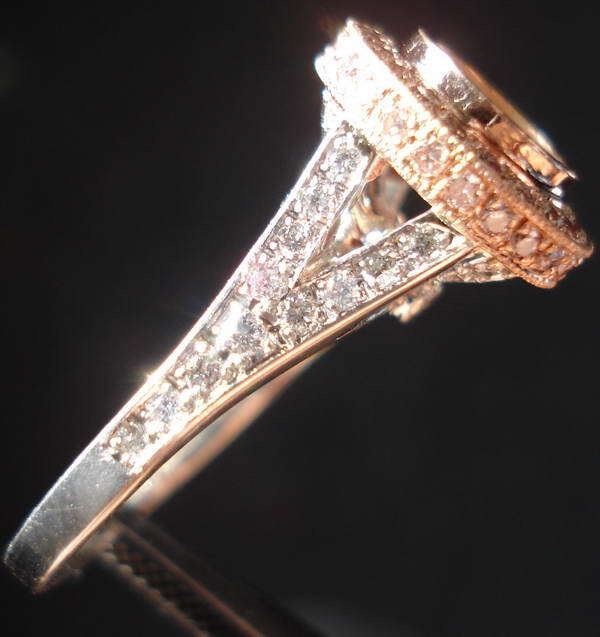 This ring will work with virtually any shape diamond. The ring we used for photography is sold. 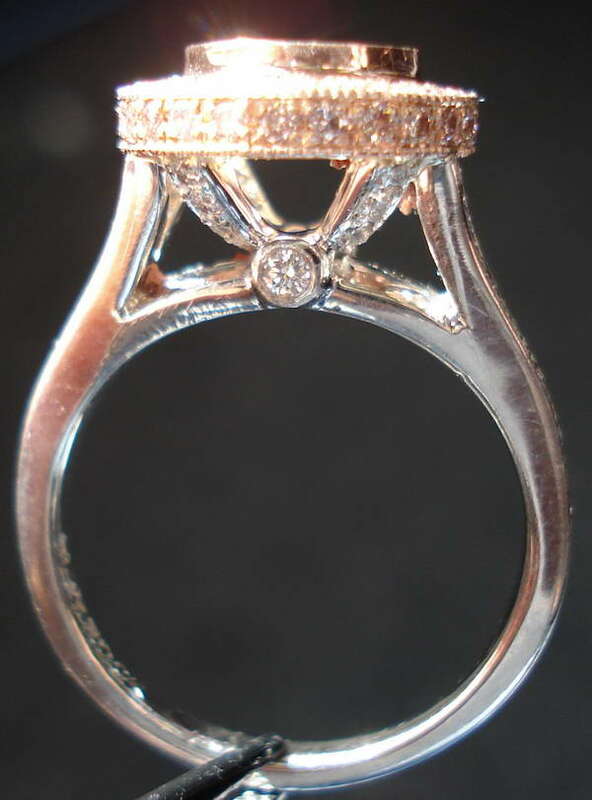 Although it has a bezel you may also choose to have us prong set the center. The ring looks great with round, old mine cut or oec. 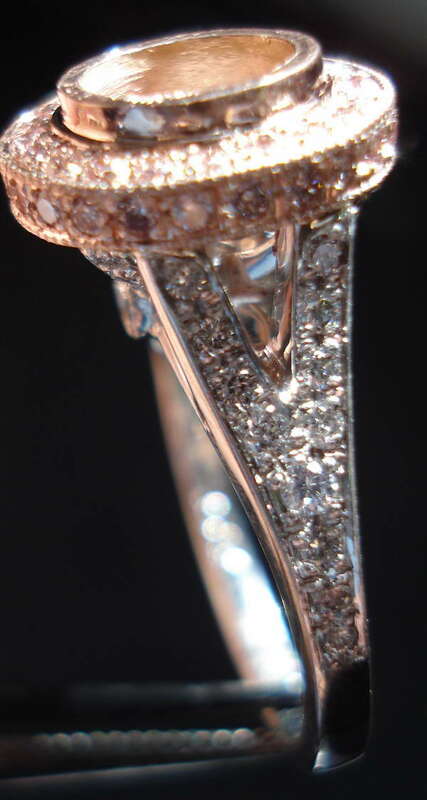 The ring also looks great with a cushion, emerald cut, pear shape or radiant.